This Carnival King white cotton candy cone helps prevent customers from getting their hands sticky while enjoying whisps of sweet and colorful cotton candy. 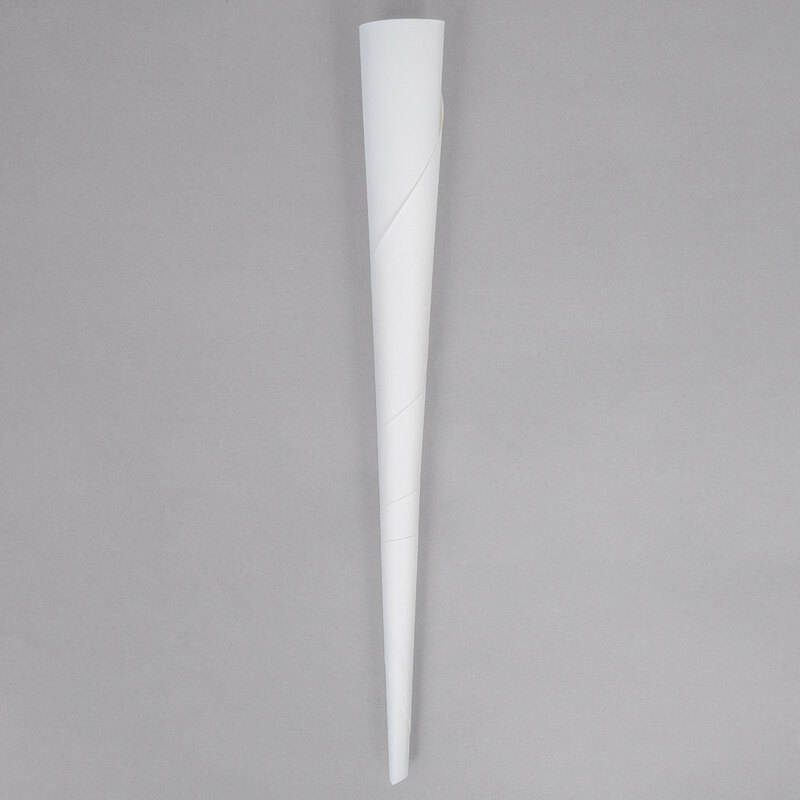 Not only does the cone add visual appeal to your concession stand or food truck, it offers a sanitary way to catch and pull the spun sugar out of your cotton candy machine. And since it's white, the cone contrasts with the fun, vibrant hues that cotton candy is known for, making the colors truly pop! This particular cone is made of heavy-duty kraft paper and boasts a triple-wrapped handle end to ensure maximum durability. Plus, its sturdy construction helps prevent the handle from bending or tearing. Whether at a fair, carnival, birthday party, or other outdoor event, this cotton candy cone is great for boosting impulse sales and for satisfying each passerby with a sweet-tooth!